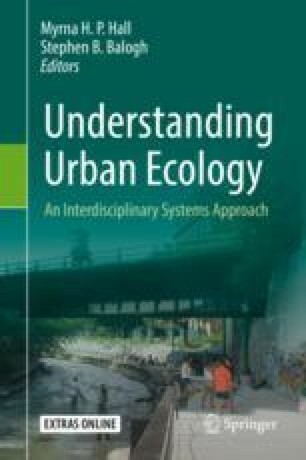 Urbanization dramatically reduces levels of regional biodiversity, yet urban environments can serve as refuges for biodiversity because some biological stressors are more prevalent outside cities than inside. We evaluated whether urbanization can promote rare genotypes, focusing on gray squirrels (Sciurus carolinensis), which have genetically based color morphs visible to the naked eye. Combining data on 6681 occurrences of gray squirrels derived from an Internet-based, participatory research program (SquirrelMapper) and mined from an online image sharing platform (Flickr), we found the probability of the black morph increases with the extent of urban land cover. An internet-based game that crowdsourced search times of humans to find gray squirrels revealed a distinct camouflage advantage of gray morphs over black in early successional forests where hunting occurs but not in urban areas where hunting is prohibited. The black morph was strongly underrepresented (9%) within a sample of road-killed squirrels in contrast to its frequency (33%) among live squirrels in the same area, likely due to the black morph’s greater conspicuousness on pavement, which in turn facilitates driver avoidance and thereby favors the black morph in cities where vehicles are the primary source of squirrel mortality. Together these processes can generate remarkably steep phenotypic clines along urbanization gradients and will likely continue to shape morphological evolution of the species given that hunting pressures are declining throughout the species’ range while road traffic intensifies. This study suggests cities can serve as refuges for rare genotypes by neutralizing selective pressures that favor a widespread morph in the rural landscape while creating novel selective pressures against the widespread morph within urban areas. The online version of this chapter ( https://doi.org/10.1007/978-3-030-11259-2_12) contains supplementary material, which is available to authorized users. Funding was provided by a National Science Foundation ULTRA-Ex grant: “Positioning Rust-Belt Cities for a Sustainable Future: A Systems Approach to Enhancing Urban Quality of Life.” Elizabeth Hunter and Sam Quinn provided technical support. Ben Zuckerberg, Myrna Hall, Dave Nowak, Eric Gustafson, and Rick Beal were instrumental in their encouragement of the project. The data presented here are the product of the aggregate efforts of a cadre of interested students at SUNY-ESF and within the Syracuse City School District as well as members of the wider public who mapped squirrels and played “Squirrel Hunt.” Rosa Joyal, in particular, collaborated on many squirrel counts.